Jeppe Hein wants to invite you to sneak a peek behind the scenes of the invisible processes that take place in developing his art. Which steps does it take from an artworks initial - sometimes abstract - idea to its actual realization? How does the exchange between Jeppe Hein and his studio look like? What are they working on right now? The exhibition Behind Hein by Jeppe Hein focuses on the processual, the in-between, the unfinished and the open. 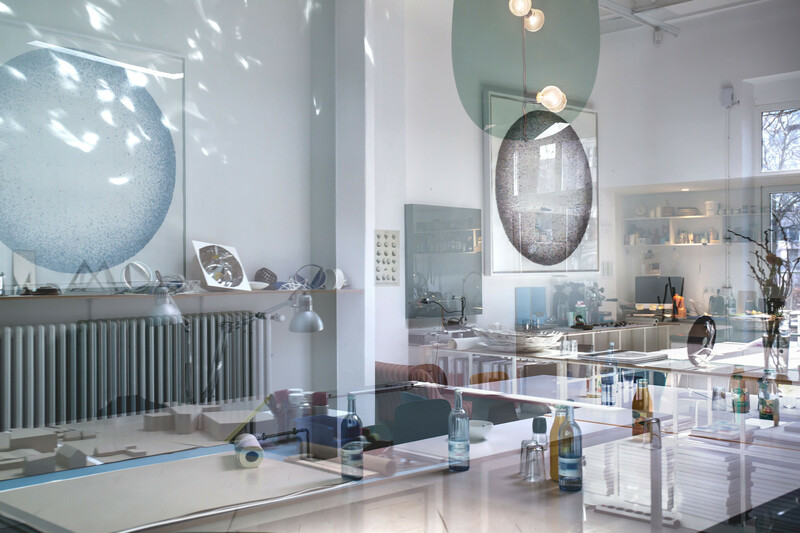 By presenting the research department to the public, Jeppe Hein allows his visitors an exclusive glimpse behind his art. Hence, during this year’s Gallery Weekend, old and new works as well as models and prototypes will be presented to visualize the continual open dialogue and exchange between Jeppe Hein and his studio.